Randy, I installed the latest update last night. Now I'm able to save the custom timer info but I can't test it. If I click the test button it stalls when it tries to initialize the timer. Yes sir! I'll send you a copy when I get home later tonight. Thanks Randy! The software is getting the finishing touches put on it. The release date is October 15. The cost for a license will be $40. I do appreciate the feedback that I have received from members of the different derby forums. It has helped to improve and refine the software. The software has now been released. There was a last second name change. The software is now called Derby Car Tracker, as I feel that makes it a bit more clear on what the software does. I do appreciate the feedback that I received from the members of the derby forums. I hope it becomes a useful tool for racers to improve the performance of their cars. If you had tried out the beta version, I do recommend uninstalling it and install the released version. We've managed to squeeze in one more feature into Derby Car Tracker Version 1, support for Derby Timer brand timers. They've got some very nice 1 - 4 lane dual sided timers. 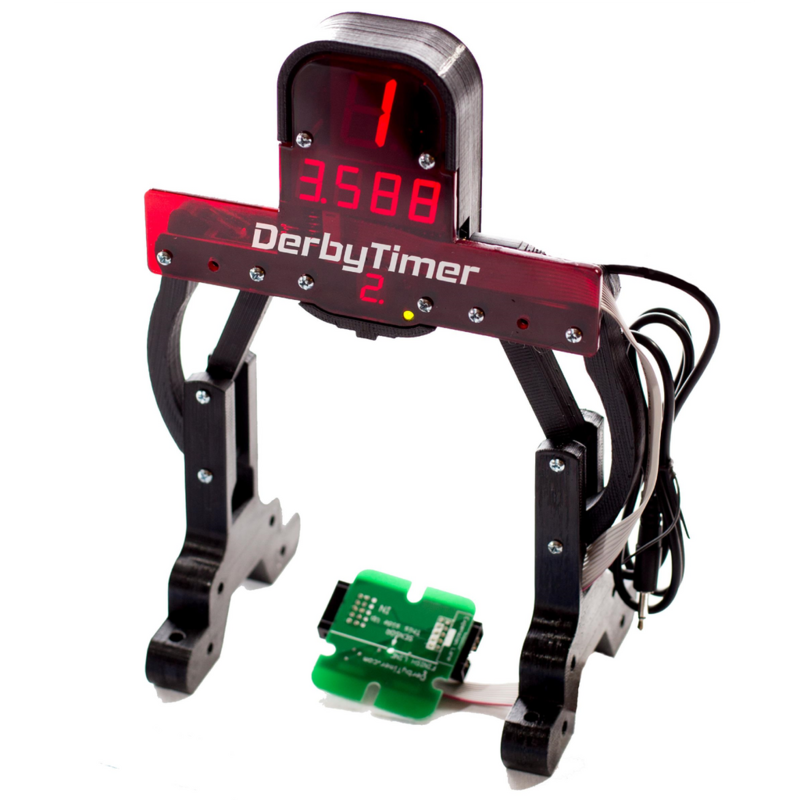 The single lane timers would make a good paring with Derby Car Tracker. If you have already installed DCTR V1, there is an update available that adds in that support.